If you’re looking for publication pricing, please call (206) 461-1304 or email us. The Commercial Printing Division at PPC has long been an important part of the Company's overall operations and has been expanded significantly over the past twenty-five years. The Commercial Web Printing Division has been serving a wide variety of printing clients since 1976 and is considered to be a leading publication and commercial printing operation and is listed by both the "Puget Sound Business Journal" and "Media Inc." in the area's largest printing companies listings since 1997. The PPC printing and operations facility is centrally located near downtown Seattle at 636 South Alaska Street, adjacent to Federal Express and UPS operations centers in the Georgetown District of Seattle. 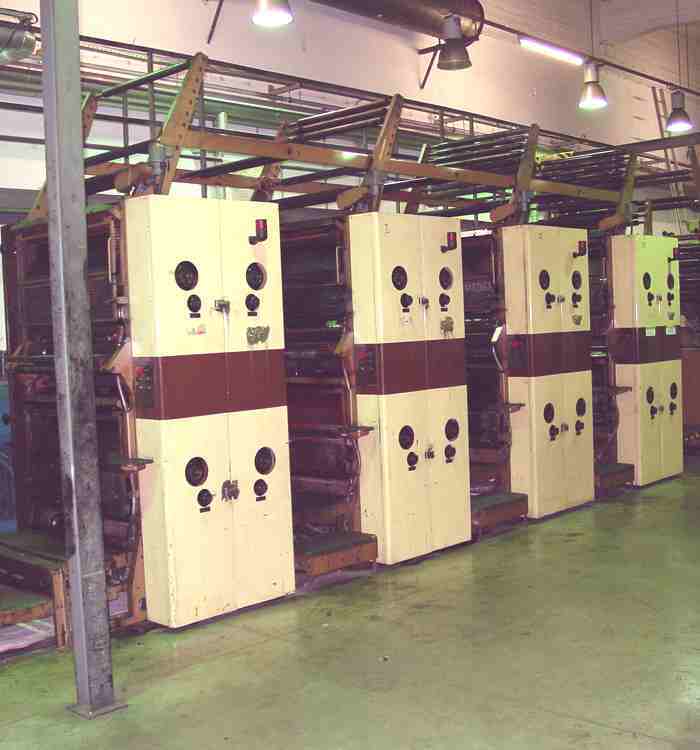 PPC maintains two independent "cold-set" web press lines operating six days a week twenty -four hours a day. Our facility can handle up to 48 pages in a single section (Tabloid format). In addition to our web printing capabilities PPC has in-house bindery equipment and mailing & distribution services available to its clients. As a fellow publisher, PPC prides itself on its ability to consult and strategize on speculative products (start ups), product design and administrative changes that will bring our customers and publishing partners greater success throughout their association with PPC. Many of Pacific Publishing Company's clients find this atypical printer-client relationship or "strategic partnership" such a compelling reason to do business with PPC that price often times becomes a secondary consideration in their printing decisions. "Quality Printing with Outstanding Customer Service"